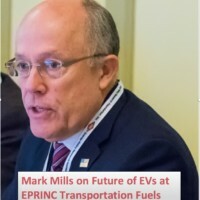 EPRINC has released an executive summary of its forthcoming report examining the future of the U.S. refining industry under the American Clean Energy and Security Act, also known as the Waxman-Markey bill. A PDF version of the executive summary can be downloaded here and is posted on our publication page. The full report will be posted on our website later this week. 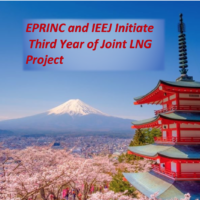 EPRINC has evaluated the economic consequences to the U.S. refining industry of the American Clean Energy and Security Act (ACES), H.R. 2454, also known as the Waxman-Markey (W-M) energy and climate bill. The legislation calls for controlling emissions of greenhouse gasses (GHGs) by placing a price on GHG emissions. The bill passed the House of Representatives on June 26, 2009 and companion legislation is under discussion in the U.S. Senate. Under the Waxman-Markey bill, both manufacturers (refiners) and importers of transportation and other fuels derived from crude oil would be required to purchase allowances to account for the carbon dioxide (CO2)emitted into the atmosphere as a result of combustion of these fuels beginning in 2012, two years before any free allowances are distributed. Allowances could be bought and sold under the legislation’s cap and trade program. U.S. refiners are responsible for approximately 45% of all emissions covered under Waxman-Markey which will regulate emissions from 86% of the U.S. economy by 2016. U.S. refiners, but not importers, would have to purchase allowances for stationary source emissions (emissions released at the refinery for the production of refined products). Under the legislation, U.S. refiners would receive some free allowances beginning in 2014 and ending in 2026 to assist in transitioning to a higher cost operating environment, but these allowances are small compared to the total obligations under the program as shown in Table A below. Source: H.R. 2454, EPA Data, EIA W-M Basic Case Projected Refinery Crude Throughputs, and EPRINC Calculations. *Actual emissions for the entire U.S. will be higher as ACES covers only 86% of the U.S. economy. Does not include allowances allotted to small business refiners, 0.25% of the free allowance pool. Rising costs of production from recently enacted environmental and regulatory requirements. Rising competition from foreign competitors – 7.6 – 8.8 million barrels per day (mb/d) of new refining capacity is expected to come online by 2015 – 80% of which will be built outside of the OECD. Based on EIA’s projected estimate of world petroleum demand through 2015 there is likely to be as much as 18 mb/d of excess crude distillation capacity worldwide. Flat or declining demand for transportation fuels in the U.S. market. The emergence of major new centers of global refining combined with rising production costs for domestic operations due to environmental regulations, rising taxes, and biofuel mandates will further shrink margins and place 2.5 mb/d of the current 17.5 mb/d of domestic operable capacity at high risk of permanent closure early in the 2015-2030 forecast period, even without any accounting for the increased costs associated with allowance purchases beginning in 2012 as called for in the W-M legislation. The GHG allowance costs associated with stationary emissions, a cost not placed on imported fuels, represent a large increase in refiners’ cost of production. This cost alone will put the profitability of many refiners at risk. Full pass-through of such costs are unlikely considering the amount of excess worldwide capacity. Constraints on pass-through for stationary emission costs alone will erase 25%-50% of a typical refinery’s net margins in the program’s first few years, inclusive of free allowances allotted to refiners. As shown in Figure A below some capacity will be idled or permanently shut down. The volume of lost capacity is highly dependent upon the availability of foreign capacity, but much of this capacity is coming online now and even under the most optimistic case, U.S. capacity losses will be substantial, 0.75 mb/d – 2.25 mb/d with allowance prices at just $15 per ton. At an allowance cost of $30 per ton of CO2, capacity losses rise to 2.1 mb/d – 6.3 mb/d. 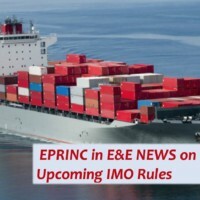 Full pass-through of product emission costs will also be unlikely. 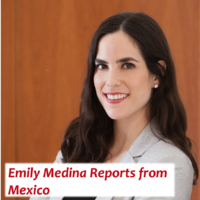 EPRINC has identified sustained periods when refiners have been limited to passing through increases in feedstock prices and taxes to as low as 50% – 75%. 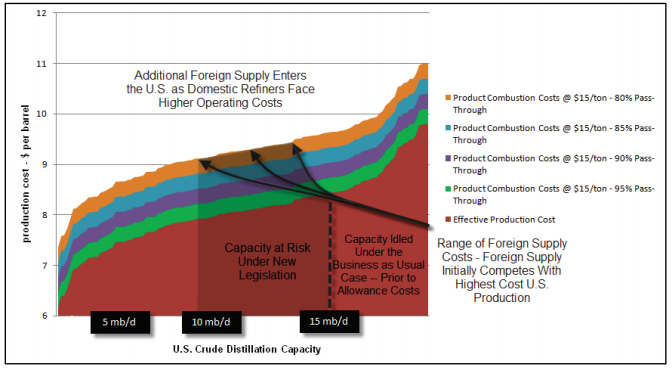 In a market environment of substantial excess capacity (both in the U.S. and abroad) opportunities for 100% pass-through will be rare as lower cost refiners seek to shift costs among the product slate to maintain operating capacity. The scale of GHG allowance costs for product emissions is so large that a pass-through rate of 80% or even 90% will force a large segment of the industry to idle capacity. Failure to achieve full pass-through of product allowance costs will place large segments of the industry at risk of closure – in addition to capacity threatened by stationary emission costs. As shown in Figure B and Table B below, the range of potential capacity losses relating solely to product emission costs would be from 0.8 mb/d – 2.4 mb/d at 90% pass-through even under the more optimistic scenario of an allowance cost of $15 per ton of CO2. In a scenario where allowance costs reach $30/ton and 90% pass-through of product emission costs, total capacity losses could rise to as much as 8.0 mb/d and employment job losses could approach 400,000. In the 2015-2030 forecast period evaluated by EPRINC, gasoline prices could rise by an average of $0.20 to $0.40 per gallon under the carbon costs calculated by the U.S. Environmental Protection Agency (EPA). Gasoline, and all other petroleum based transportation fuels, could rise by over $1/gallon under some CO2 allowance cost forecasts by the U.S. Energy Information Administration (EIA). The purpose of Waxman – Markey is to curtail GHG emissions, but the cap and trade program poses severe risks to the structure of the domestic refining industry and instead of reducing GHGs as intended the legislation will substitute domestically produced fuels with imported fuels. In addition, hundreds of products are made from petroleum, from plastics to pharmaceuticals, and these products would see price increases as refiner operating costs rise. The W-M bill and its companion legislation in the Senate, the Boxer-Kerry climate bill, specifically exclude petroleum refiners from receiving free emission allowances set aside for trade vulnerable industries. However, in the European Union’s Emission Trading System (EU ETS), the world’s only functioning GHG cap-and-trade system, the refining industry has been designated as a trade vulnerable industry under the program’s “carbon leak” criteria and a review is underway to determine what amount of additional free allowances the industry will be allotted to cover its stationary emissions. Refiners operating under the EU ETS are not responsible for their products’ emissions. A complex tariff structure could be implemented to rebalance costs to reflect the cost of their carbon content in all products imported into the U.S., but implementing such a complex tariff raises a large number of technical, legal, and trade risks. Also, some countries may even adhere to international agreements on carbon controls, but do so in a manner that that does not alter costs of production at major industrial facilities.